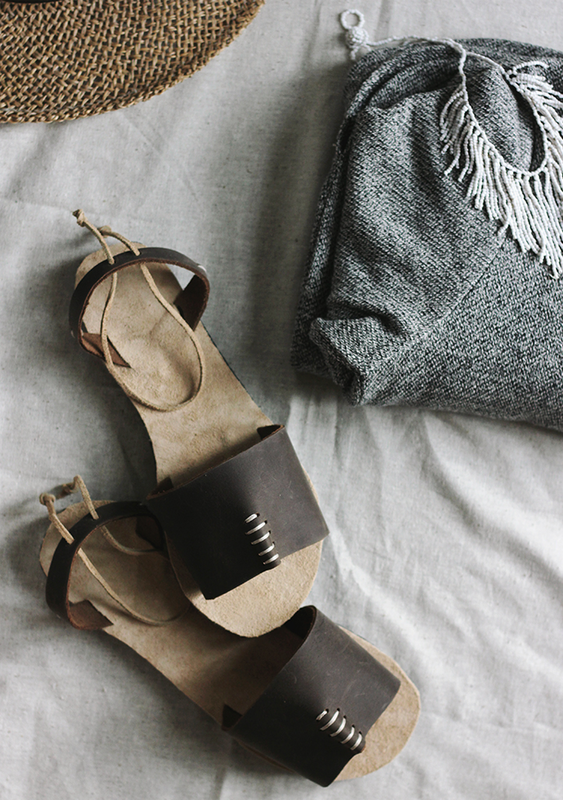 Okay, now I will make a confession – I love DIY projects. I really love them. It is an interesting way to boost your creativity. But the reason I don’t show DIY projects very often is that sometimes they are not very successful and/or they don’t look good. And of course I can’t show you useless DIY and pretend that it is good because it will be misleading. Today I had to show you my own DIY project which did not work very well, so I decided to borrow few beautiful and creative ideas that I like from other bloggers. 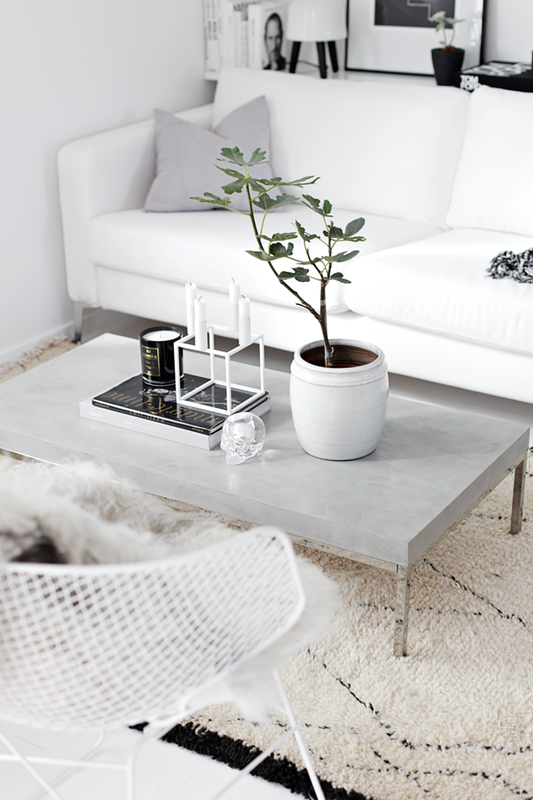 The first idea comes from the talented Nina from Stylizimo and it is a “concrete” coffee table. I think that this idea could have many other applications. Just be creative and follow Nina’s steps here. 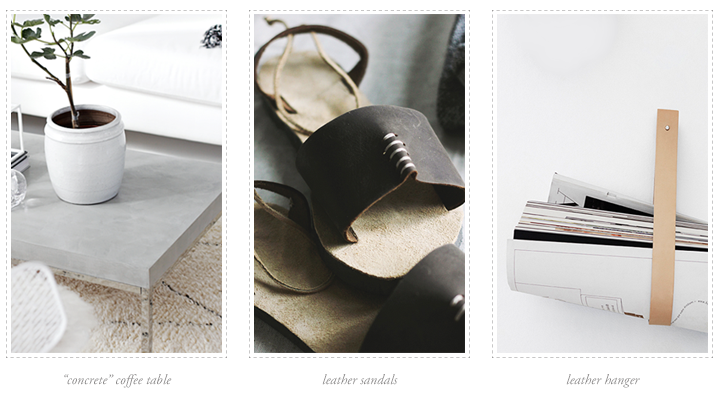 The second idea is also original – how to turn your flip-flops into lovely leather sandals from Merry Thought blog. For this tutorial you will need some more skills, but I am sure we all can make it. Instructions you can read here. 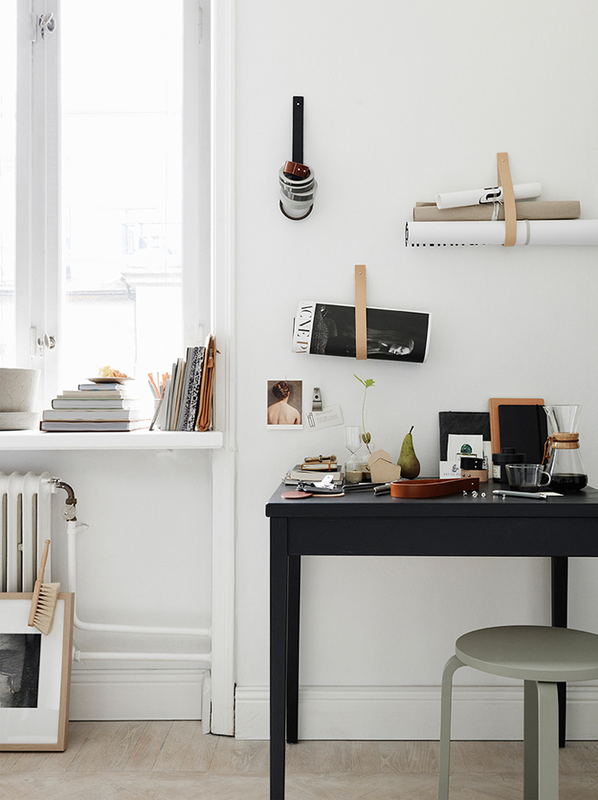 The third idea is by the designer and blogger Mathilda Clahr and her beautiful hanger Strap / which you can buy here. Did you like some of the DIY ideas? Would you try some of them? Really love DIY, but have little time….so many plans, ideas and few real things.